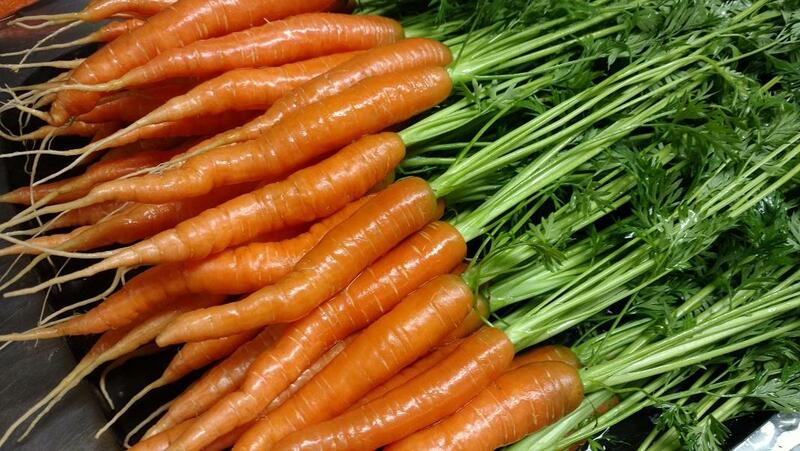 'Napoli' carrots grown in the SERP project's mobile high tunnels. 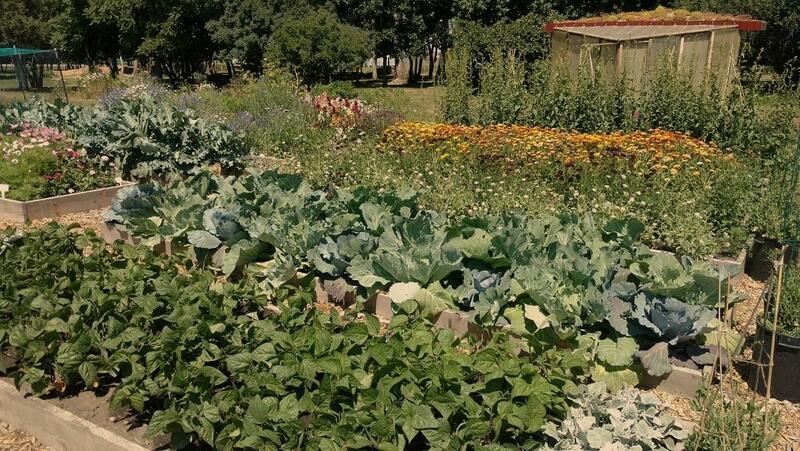 Vegetables and flowers growing in raised beds at the Horticulture Farm. 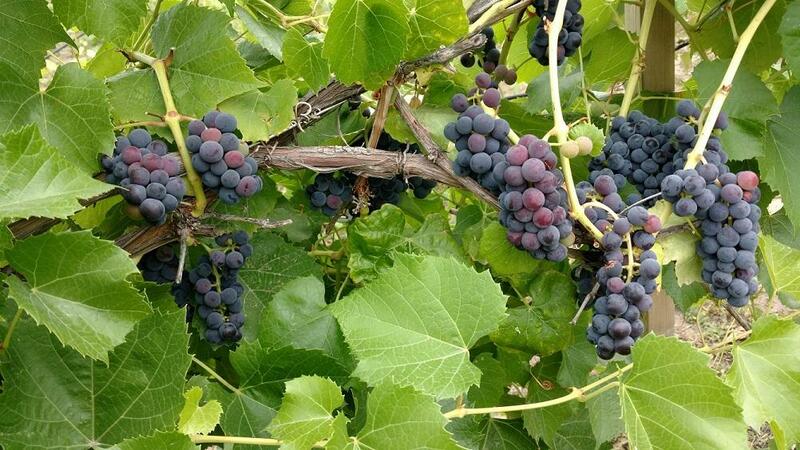 Grapes ripening in the Horticulture Farm's vineyard, which contains nineteen cold-hardy varieties. 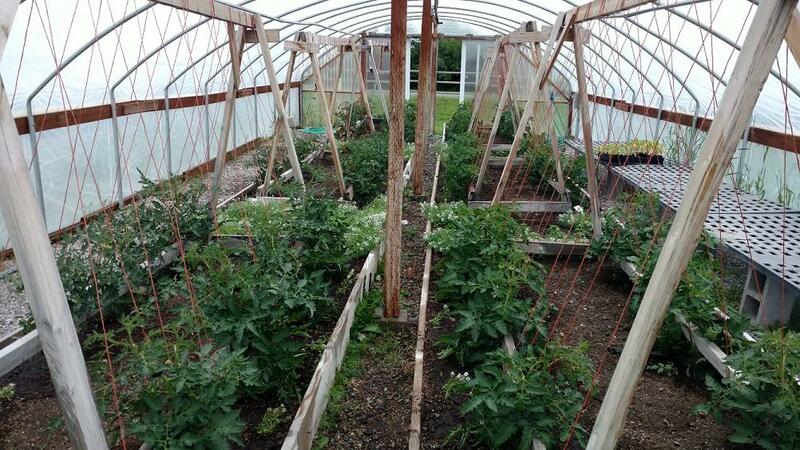 Tomatoes growing on trellises in a high tunnel. 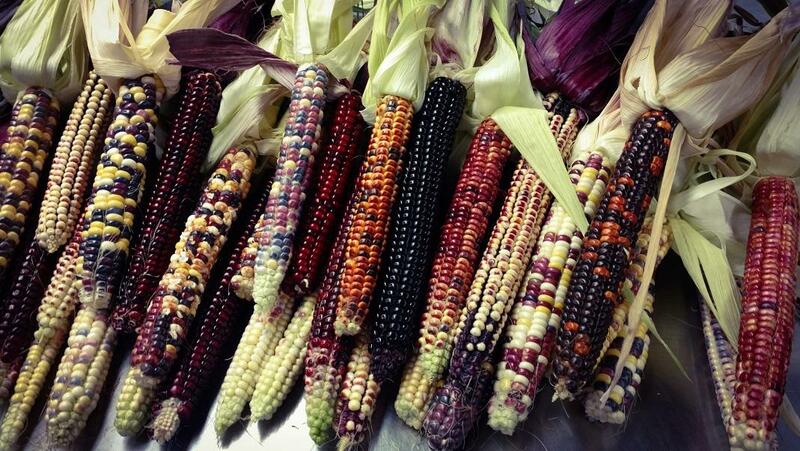 'Painted Mountain' corn grown at the Horticulture Farm. The MSU small farms website highlights current research and educational activities directed to Montana small acreage farmers. Research from the MSU-Bozeman horticulture farm and the seven research centers is featured as are horticulture related academic offerings and student farm activities. The MSU Horticulture Farm, located at the BART Farm on the west side of Bozeman, is made up of 8 acres of diversified vegetable production and a variety of research projects. In addition to field crop plots, the Horticulture Farm includes ten high tunnels for protected cultivation of vegetable crops. Other farm projects include a fruit orchard, an experimental vineyard, and MSU's Honey Bee Research Site and Pollinator Garden. Over the summer the farm hosts several MSU courses including Market Gardening, Crop Identification, Soils, and Culinary Marketing. The Horticulture Farm is also the home of the Towne's Harvest Garden, a practicum course where students learn the basics of food production for market and run an organic Community-Supported Agriculture program and an on-campus farm stand. All of these courses give MSU students hands-on experience with small-acreage food production and marketing. The Western Ag Research Center, located in Corvallis, Montana, consists of 29 acres of field plots and protected cultivation facilities. Researchers focus on a variety of crops in order to identify new crops for local markets and improve production of existing crops. Current projects include research on cold-hardy berries and cherries, an experimental vineyard testing cold-hardiness in grapes, and a cider apple orchard. For more information please visit the Western Ag Research Center's webpage.